Oh where, oh where has the Worman gone? oh where, oh where can she be? I am hooked! 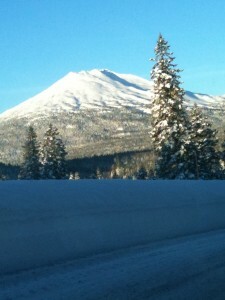 Mt Bachelor once again has stolen my mind, body and blogging soul. He has taken all of the wigglin’ out of me. I can’t focus on writing a worman post because whenever he’s covered with freshies I’ve gotta get my share. So for the past 2 days, I’ve been riding with the kids, riding with friends, riding with Carlos and riding solo. I will get back to work soon. I promise. Maybe tomorrow when I am up there, I will find some wigglin’ inspiration!